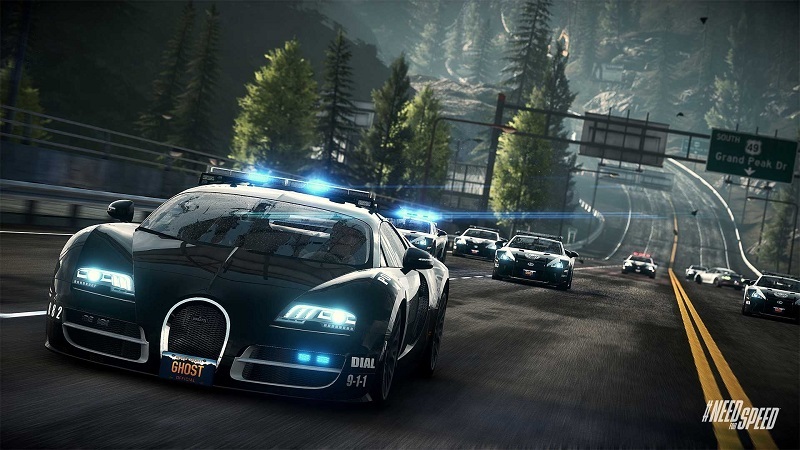 Firm following in their promise of bringing free extra content for Need For Speed, the EA today released a new set of very varied innovations ranging from the gameplay to the aesthetics and the soundtrack of the game. The update is called “Legends” and, in addition to news, it also brings some changes and repairs some characteristics criticized by fans. The main one and distinguished by their own EA is the frequency with which the player receives calls for new events in the game. The producer says that “we made several improvements on the game call system” and, more importantly, it was added a new option to “mute” on the phone. The customization part, are 113 new items, which are distributed among the cars: Dodge Challenger SRT8, 1965 Ford Mustang, Honda Civic Type-R, Lotus Exige S, Volkswagen Golf GTI and Volvo 242. In addition, the game gained 200 new adhesives and pre-defined customization options based on classic cars of the franchise. The update also brings a new event in Need For Speed, which the player will be able to compete in a series of races proposed by Eddie, a character who made ​​his debut in Underground; with the ultimate prize one Nissan Skyline GT-R V-Spec (1999), with customization special. Last but not least, the update “Legends” will increase the level cap from 60 to 70 REP players, offering new items for each new level reaching from 61.